This article has mentions of products from one or more companies, and I may receive compensation if you purchase those products following reading my recommendations. Blue Nile has reigned one of the leading online diamond retailers for over two decades. A revolution from conception, Blue Nile competed passionately with diamond powerhouses, such as Tiffany’s, to assert its position in the online, fine jewelry trade. It has continued to challenge the conventional experience of online jewelry purchase, with regular website adjustments to enhance the buying experience. 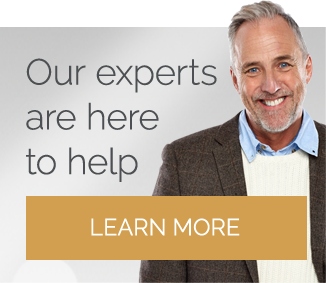 If you are considering Blue Nile as your ‘go-to’ diamond provider, this summary of its business model and overall customer service experience should provide all the information you need before you take the leap. Disenchanted by the lack of choice and flexibility when searching for an engagement ring, Mark C. Vandon identified a gap in the online market for diamonds. Finding himself on the Doug Williams of Williams and Son Inc. website, he was captivated by the small spark of potential that the online jewelry trader had offered. In 1999, just a year after discovering the website, Vandon had raised enough money to invest heavily in the revamp and remodel of the company website. From his 85% stake in the business, he developed Blue Nile. Since then, the company has continued to boom, with net income and total assets continuing to rise over the passing years. In February 2017, Blue Nile ceased to be a public trading company with its $500m acquisition by an investor group comprised of Bain Capital, Private Equity, Bow Street and Adama Partners. 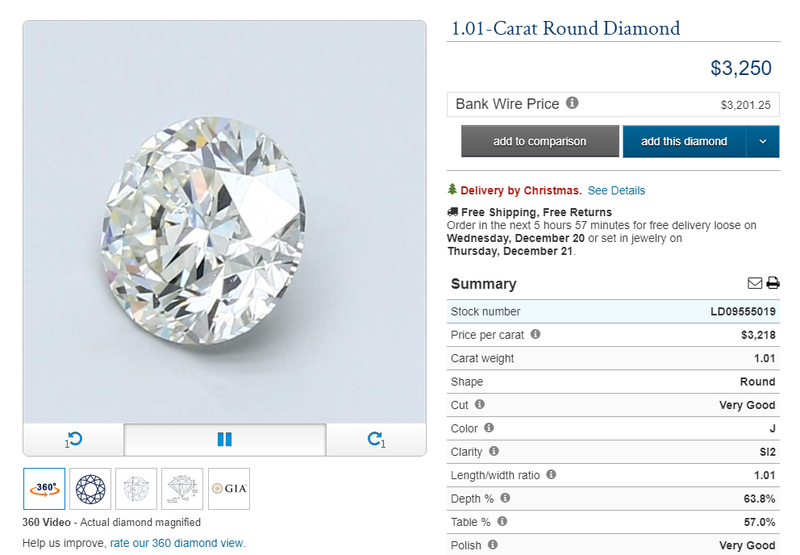 A large part of Blue Nile’s appeal was its entirely unique approach to online diamond selling. 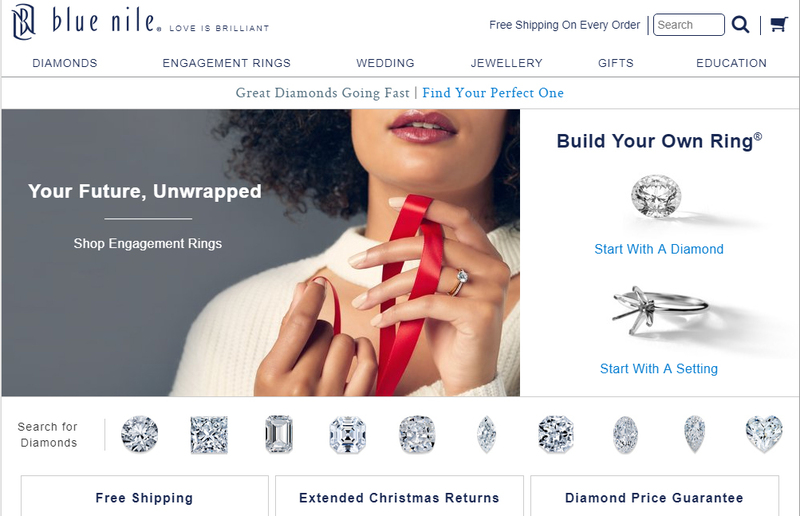 While other retailers would advertise engagement rings that were ‘in stock’, Blue Nile placed available diamonds directly from the wholesaler onto its website. This means the company doesn’t need to buy in large quantities of diamonds in order to display them to the public. The benefit of this is a selection of diamonds that comfortably dwarfed any collections offered by other retailers. It also means the vast amounts of available stones can be sold on very small margins. This business model has since been adopted by other retailers, but Blue Nile was most certainly the pioneer in this field. While the selection of products are big and prices are low, I think Blue Nile has oversold itself as the go-to diamond site with its diamond quality, which I explore further down in this review. Blue Nile is brilliant for those who are on a budget but still have very specific ideas about what they want for their jewelry. While you can purchase ‘pre-made’ jewelry from the website, is it the selection of diamonds and settings capture the attention of most who find themselves exploring Blue Nile’s pages. Beginning with the Four Cs, price and shape of the diamond, you can start by sliding the bars to alter the search results. For the diamond connoisseurs, there are further details that can be added to bring only the finest diamonds to your results. These features are hugely advantageous for creating direct comparisons between the stones. The smallest adjustments to the filters can create large alterations in price; it is worth spending some time experimenting with your results to discover the ideal stone. One of the most recent innovations to the website is the opportunity to view a full 360° video of your diamond. Alongside the diamond specifications, the video is a fantastic tool for getting a feel for your stone before purchasing it. The possible drawback of this technology is it can be trickier to identify flaws and inclusions within the stone. Blue Nile has collaborated with some brilliant designers to create pre-set jewelry and engagement rings. Many of these pieces can still be altered and adapted into a special order just for you. As is key in Blue Nile’s approach, these rings tend to be mid-range to low in their prices. Beautiful and affordable, it allows for a wide spectrum of choice within a smaller budget. A concern for many when purchasing such an important piece of jewelry online is that the necessary aftercare options may be limited or altogether neglected. This is certainly not the case with Blue Nile. 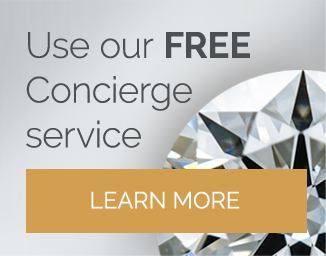 It offers exceptional support including complimentary cleaning and servicing, re-sizing and warranty of your jewelry. Blue Nile also gives you fully-insured international shipping, and is renowned for its smooth and efficient communication when shipping overseas. Furthermore, it has a 24-hour chat service available for those crucial moments when choosing your ring. Like many other jewelers, Blue Nile has its own range of in-house diamonds named Astor. This new range was brought out in late 2017 to replace its previous Signature line. The stones sold under the Signature range were at a premium rate under the guise that they were a superior cut. The diamonds were laser inscribed with the Blue Nile logo and came with an additional diamond grading report issued by GCAL. Beyond this, there seemed to be little validation for the price hike, and there were reports of inconsistency within the Signature line. It was clear Blue Nile did not apply the same stringent analysis over their in-house diamonds, as their competitors were doing. Since Blue Nile rolled out the new Astor range, I noticed that this cut has not been patented by Blue Nile, suggesting it is perhaps not as unique as it might have you think. With a trade as established as diamond cutting, it is rare for a company to create an entirely new cut for a round brilliant or princess cut stone. Each diamond within the Astor range receives certification from GemEx and the GIA. GemEx reports are split and assessed in three categories; fire, brilliance, and sparkle. The Astor collection boasts the highest grading in these reports. However, Blue Nile is vague in its descriptions of the stones. It promises ‘the best’ proportions for light return and symmetry, but do not state what these proportions may be. It is also worth mentioning that a GemEx certificate CANNOT and SHOULD NOT be used for ‘official’ certification purposes. Such certification is not a valuation, guarantee or appraisal. It also does not provide ‘scope’ images as these images are far more accurate in assessing light leakage and dispersion as well as symmetry. 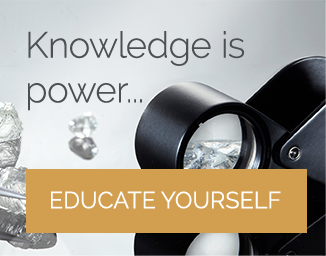 You should only buy diamonds that have the proper GIA and AGS certifications. It seems that Blue Nile still has work to do on this range. Much of the required technical data is missing, and in its place, are marketing claims of a high sparkle and brilliance, with little evidence to support this. The diamonds are of good quality, but if you care about the finer details and more reliable documentation, Astor would not be the right choice for you. 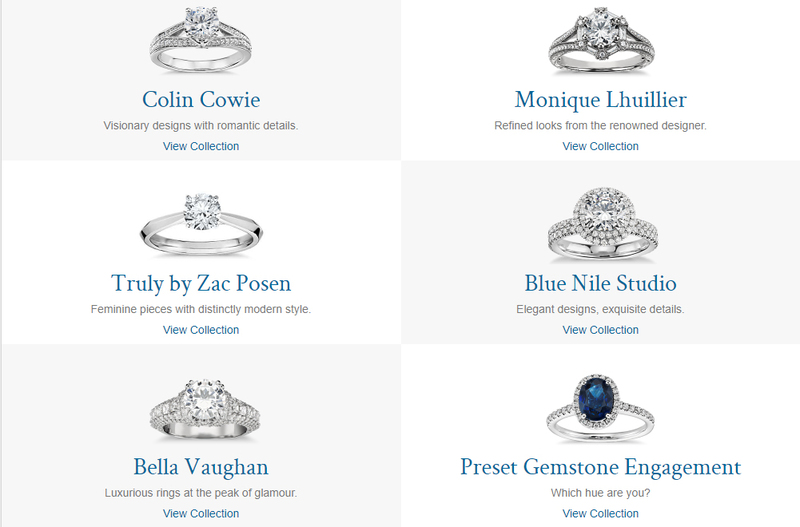 If it is a collection that seems infinite, beautiful options for a smaller budget or a comprehensive and clear website that you so desire, then Blue Nile is a fantastic choice that covers all of these factors. The company does lack a little finesse; the packaging is rather basic, and if you are fortunate enough to have a large budget for your piece, this could perhaps be better invested in another retailer, such as James Allen, Leibish & Co, and Whiteflash. Blue Nile lacks the inherent attention to detail offered by some of its competitors. While others may strive for the best technology, premium cuts, and only the best diamonds, Blue Nile’s approach is one of sheer quantity. The Whiteflash A CUT ABOVE Diamonds have better cut quality and have better light performance which are proved in their comprehensive light performance imaging and HD Videos, so unless your budget is lower I'd suggest Whiteflash over Blue Nile. Do read my thoughts on James Allen and Whiteflash before making any purchases however and please do get in touch directly for further recommendations. © 2018 Diamond Expert. All Rights Reserved.